Mary is a very quiet child. Ever since she was born she has kept things bottled up inside. She doesn’t talk much and never complains. Mary doesn’t cry often either. Her parents have to guess whether she is hungry, cold, thirsty, tired, or afraid. When she is asked a question, she answers but doesn’t volunteer information. It is sad to say, but Mary’s parents don’t feel as connected and close to her as they do to her siblings. Mary feels very deeply, but she hasn’t learned to talk about her feelings and thoughts. It is almost as though she doesn’t trust her parents enough to share with them. When Mary gets hungry she doesn’t tell her parents. She just waits until it is time to eat. When she is tired she puts herself into bed. At night if she has a bad dream or is afraid, she hides her head under the covers instead of calling out or rushing to her parent’s room. A while back on a nice sunny day, Mary played on the swing in her back yard. Higher and higher she went and thought it would be fun to jump out of the swing. She hadn’t jumped out before, but watched her older brother do it. 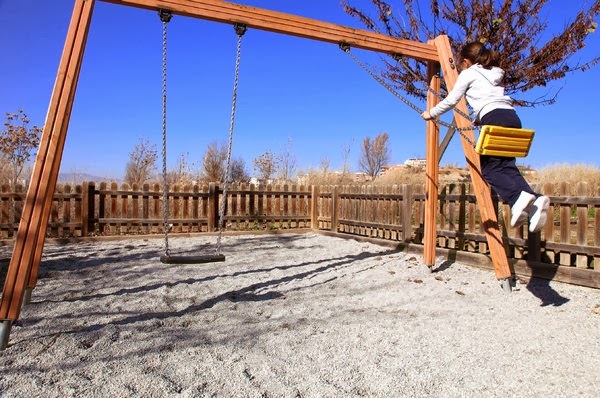 When she jumped, she came out of the swing crooked and landed hard on her right leg. She felt a terrible pain in her ankle. Not wanting to bother her parents, she didn’t tell them. Mary limped into the house and to her room. She sat on the floor and gently took off her shoe and pulled off her sock. Her right ankle was already swollen. When she touched her ankle it brought tears to her eyes. Moving it was worse. She thought about telling her mom, but shook her head and reached for her slippers. The slipper felt better than her shoe. Mary figured no one would notice her swollen ankle with her slipper on. The slippers were normally large on her, but now it fit her right foot snug. The other one was still very loose and she thought about that, but still decided not to tell her parents. With a moan, Mary got up and tried not to limp into the kitchen. She was relieved she was the first to arrive and her mom had her back to her. Mary sat down. Her brother and sister came in and sat down while talking about the game they had been playing. Mary’s mom brought over a large casserole and placed it on the table, then sat. After they asked the blessing, Mary’s mom served them the casserole and salad. Mary ate, sitting quietly like normal. She didn’t feel like eating, but she knew if she didn’t eat she would have to answer why. Her ankle pounded, but she didn’t show it. The rest of the family chatted. “I played outside then went to my room,” she responded. Mary shrugged her shoulders hoping he would let it drop. The conversation went all around the table. Everyone participated except for Mary. No one noticed because it was typical of her. After supper, the children were expected to take their dishes to the kitchen sink. Trying not to wince and show she was in pain, Mary walked to the kitchen counter. She set her plate and glass down and turned to walk back to her room. That is when her brother accidently ran into her. She couldn’t help but cry out in pain. They waited for Mary to talk to them. She didn’t. Her father picked her up and carried her to the car. He settled her in the back, sitting her sideways with her leg up across the seat. Her mother phoned the neighbor who came over to watch her brother and sister so her parents could take her to the clinic. On the way, her parents talked about what Mary could expect. They also reminded her she could tell them anything. They told her they loved her very much and wanted to share in her thoughts, pain, and fears. Mary sat there saying nothing. She looked up into his caring eyes and then said, “I would like you to carry me.” Her father smiled a huge smile and picked her up. Her mother was also smiling. After a while, the nurse said they could go back to the examination room. Her father didn’t put her down and the doctor examined her ankle while she sat in her father’s arms. Her father carried her to the x-ray room. Normally, only the patient is allowed to be in there when an x-ray is taken. Her father said, “I am staying with her.” They both put on a heavy lead garment to protect their bodies from the radiation of the x-ray machine. Mary smiled at her father. The nurse helped the doctor put the plaster strips on and around her foot and ankle and half way up her calf. Mary was fascinated that the wet cloths would become hard. She watched them intently. Her father was right. They were beginning to get hard. Mary was given a pair of crutches, but her father carried her to the car. Mary said she would try to share with them. Mary healed up nicely. 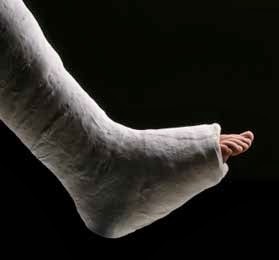 After the cast came off, her ankle didn’t give her any more problems. Also, she opened up to her parents and learned how much nicer life was when she shared her feelings with them. They became close, and their relationship got very strong. Mary and her parents are an example to us. Our heavenly Father, the Lord, desires us to share everything with Him. We need to trust Him. Proverbs 3:5 says, Trust in the Lord with all your heart. He wants us to talk to Him about how we feel. When we are afraid, sick, tired, worried, hungry, thirsty, cold, hot, confused, happy, unsure, disappointed, hurt, or anything, we can tell Him. Even though He already knows our thoughts and how we feel, we need to tell Him things for our benefit. He understands and will give us comfort. Talking to Him is called prayer. When we talk to Him, our relationship grows closer and stronger. He talks to us through His word the Bible. If we have trusted Him as our Savior, The Holy Spirit lives in us and He talks to us also. The Bible reminds us of His love toward us and that He gave us the Holy Spirit to live in us. Romans 5:5 Now hope does not disappoint, because the love of God has been poured out in our hearts by the Holy spirit who was given to us. The Bible tells us to pray all the time and we can ask the Lord anything. 1Thessalonians 5:17 Pray without ceasing. Colossians 4:2 Continue earnestly in prayer, being vigilant in it with thanksgiving… Matthew 21:22 And whatever things you ask in prayer, believing, you will receive. The Lord Jesus Christ gave us an example of praying. Matthew 6:9-13 Our Father in heaven, hallowed be Your name. Your kingdom come. Your will be done on earth as it is in heaven. Give us this day our daily bread. And forgive us our debts, as we forgive our debtors. And do not lead us into temptation, but deliver us from the evil one. For Yours is the kingdom and the power and the glory forever. Amen. Pick one of those verses to memorize. I challenge you to memorize the Matthew 6:9-13 passage. Remember, when you pray use your own words. That passage is just an example.